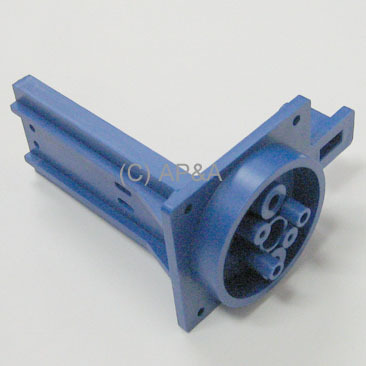 Blue plastic pop bumper mounting bracket, as used in many Data East and early Sega pinball games. Also used on some Alvin G. and Capcom games, and modern brand games such as Spooky Pinball and Heighway Pinball. Replaces yellow-colored bracket of same design, and older part # 545-5099-00.